JUST REDUCED FOR FAST SALE! 2008 Fountain 38 Sportfish Cruiser REDUCED PRICE QUICK SALE to purchase new boat. Very good looking, Fun & Fast 38 Fountain Sport Fish with Triple 275 Mercury Verados! 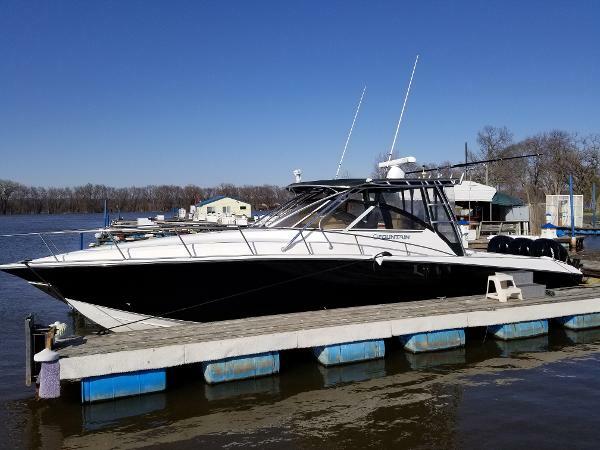 From first glance this boat is sure to impress, the Freshly Painted Black Hull is truly beatiful, the full enclosure allows early season boating and lets you cruise late into the season! Stepping aboard the sheer size and her 10'6" beam comes to life, the all NEW Aquatraction flooring makes the cockpit feel modern, give great eye appeal and is easy to clean. The cockpit seating is perfect for cruising with Family & Friends, The Captian has a personal Helm Seat and to both sides is L Shape seating for guest, the back also has a bench for additional guest and the large cockpit gives plenty of standing room for fishing or entertaining. The helm is surely to impress even the most critical captain, the Garmin 5212 Radar/GPS standouts and is easy to use, matched with the Furuno Flur allowing for easy night navigation! The dash is equipped with full Mercury Smartcraft Gauges, Stereo Controlls, Trim Tab Indicators, VHF Radio, Tilt Wheel & Windlass Controls. 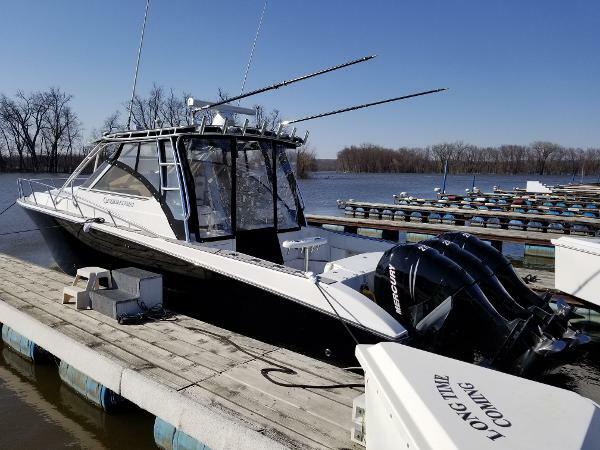 Opertion of the boat is as easy as it gets, with Twin Lever Controls, the Center Engine will mimic the outer Motors, Auto Sync, Auto Pilot and Singler Lever Control makes for easy Cruising and docking mode allows for easier controll around the docks! Working our way into the Cabin the boat does not disappoint, High End cabinetry, Upholstery and Features are through out. 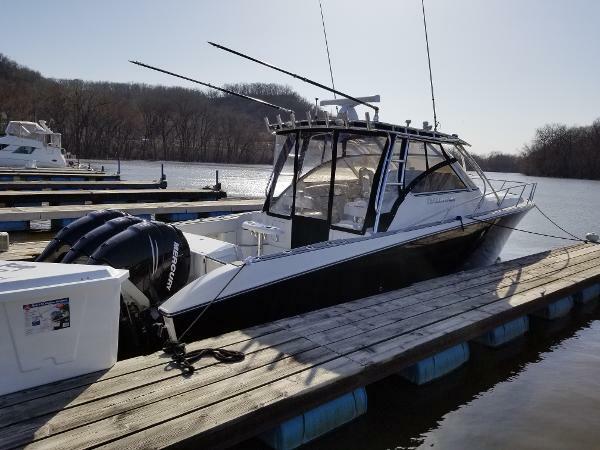 The Cabin is equipped with all the features one would expect out of a large Cruiser, Air Conditioning/Heat are a must, the Generator allows for overnight stays away from th dock, the Refrigerator, Stove & Microwave make for a nice Galley arrangment. The 6'4" Headroom is impressive for a Cross Over Sport Fish Boat, the Storage inside is adequite with nice storage under all the forward cushions. The mid cabin is sizable and comfortable for 2 (That is where we sleep). The head features a Vacu Flush Head and can be used as a shower!